John Lodge is dipping back to his musical past for a new single. 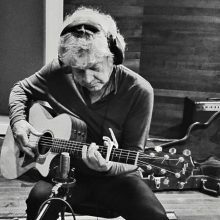 John Lodge, one of the founding members of the Moody Blues, will release only his second solo album, 10,000 Light Years Ago, on May 5 via Esoteric Antenna. John Lodge wrote a New Year’s letter to fans on the Moody Blues website with just a small bit of information on his upcoming solo project along with other news.